Time to release some free music from the Rarefaction archives. Please note that our mp3 files are rather large; we looking for quality, not convenience. Also note, that while the music posted here for your pleasure is "free," all copyrights still remain with the musicians and/or publishers. As such, you, the downloader of this music, are granted rights to download this music for your personal enjoyment. You may not reproduce the music contained on this site on commerically available CDs or other web sites. Thank you for your understanding. This first tid-bit comes from Bambara Mask featuring Sean Kirkpatrick (The Calm, Swell), Monte Vallier (Half Church, Swell), Robert Rich and Ron MacLeod. This track was recorded at Different Fur Studios, December 1985, in San Francisco. To our knowledge, Bambara Mask, based in and around Palo Alto, California, never performed live and this is their only studio piece recorded. Produced by Ron MacLeod, engineered by Howard Johnston with Alice J. Young assisting. This mp3 was generated from the original 30ips mixdown using Peak 4.1. 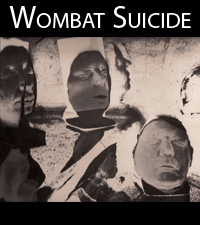 Next up from the Rarefaction archives are the original three songs released from Wombat Suicide. Emerging from the ashes of The Calm and Orange Curtain, Wombat Suicide recorded these tid-bits in 1983 in San Francisco's Hyde St. Studios; the graveyard mix-downs where done at Russian Hill Studios, where we had our first taste of Peets coffee... oh yeah. The original line-up for Wombat Suicide consisted of Jeff Wilkens on vocals and synths, Tommy King on bass & synths, Dennis (Big D) Decker on drums and programming, Paul Cross on guitars and Mark (Mo) Gormely on synths. 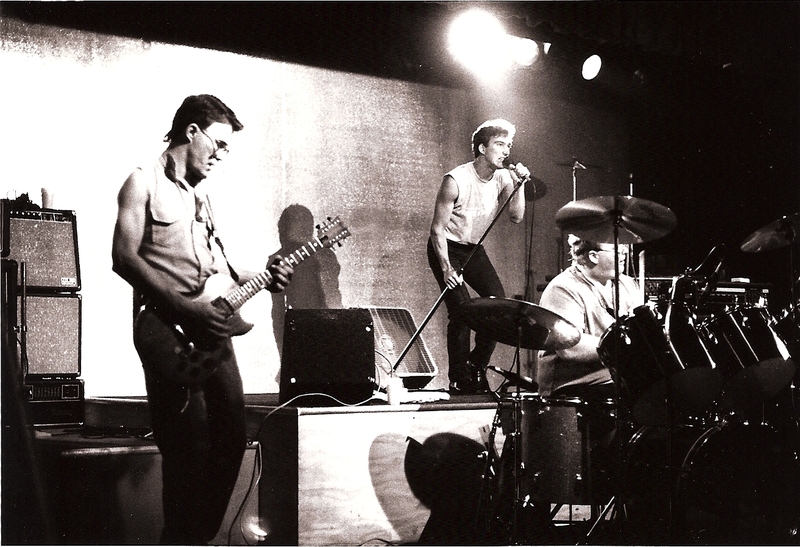 The bands' first major gig was sharing the bill with the Violent Femmes and Pell Mell. A couple of years later, the band broke up and then reformed a few months later with Charles Davis on vocals, Jeff Wilkens on bass and synths, Dennis Decker on drums and Paul Cross on guitar. A few live recordings exist with the latter line-up. Live gigs were contained to the San Francisco Bay Area. In 1983, a music video was shot in San Jose, but never released - our video archivist is working on piecing it together (some 27 years later) - stay tuned! In his first live performance with the new line-up, frontman Chuck Davis, wandered on stage in a straitjacket - which of course he couldn't get off! Once freed by roadies, Chuck sang lead vocals BEHIND the drumset. We're thinkin' we'd all be safer if he left the straitjacket on! In the late eighties, Missile Harmony, for the most part, graced the city of San Francisco and never wandered outside the borders of California. The band's music was never released in its entirety until now. Fronted by Kurt Herr (Wire Train) vocals and guitar; Tommy King (Amongst, dj Cut-n-Paste, Switchblade Symphony, Lawn Vultures, to name a few...) on bass; Michael Pappenberg on lead guitar; and at various moments in time, Brian Lane-Reitzell, (Red Kross, Air), Brain (Limbomaniacs, Primus), Curveball (Primus, Curveball) banged the skins for the band. These songs were recorded between 1988-1990, at assorted studios within San Francisco. Missle Harmony had the pleasure of sharing the stage with various bands such as, Jesus and Mary Chain, The Church, Thrill Kill Kult, Chris & Cosey, Throwing Muses, The Mighty Lemon Drops, Adrian Belew, Fields of Nephlim, The Godfathers. Eight of Missile Harmony's songs can now be found on SoundCloud.